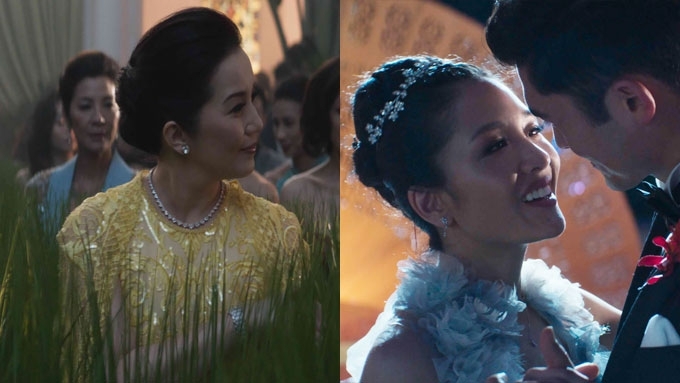 Kris Aquino (left frame, wearing yellow) has a cameo in Crazy Rich Asians, which is top-billed by Constance Wu and Henry Golding (right frame). Crazy Rich Asians grossed P82.7 million in five days, according to producer Warner Bros. Pictures. The Hollywood movie based on the worldwide bestselling novel of Kevin Kwan marks a milestone in the Philippine box-office by opening at No. 1. This was announced today, August 27, by Francis Soliven, General Manager of Warner Bros. Philippines. 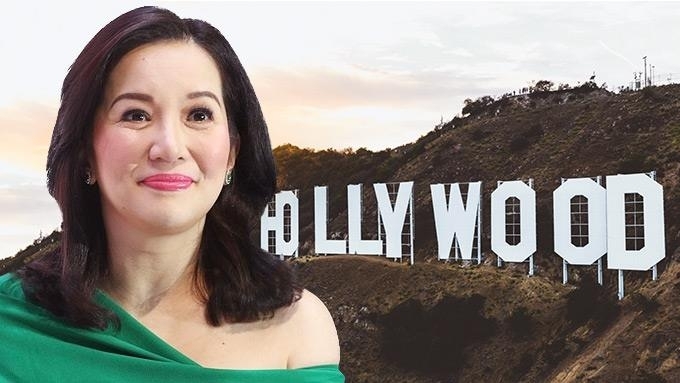 The contemporary love story broke two box-office records, namely the All-Time Biggest Opening Weekend for a Foreign Romantic Comedy (surpassing 2002’s Maid in Manhattan” with P24 million), and the Biggest Opening of the Year for a Warner Bros. Title (outgrossing “The Meg” with P63.4 million). 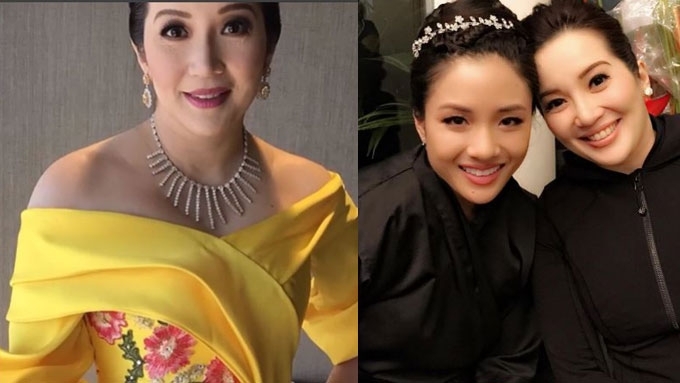 Crazy Rich Asians includes Filipino actress Kris Aquino as Princess Intan and U.S.-based Pinoy comedian Nico Santos as fashion designer Oliver. 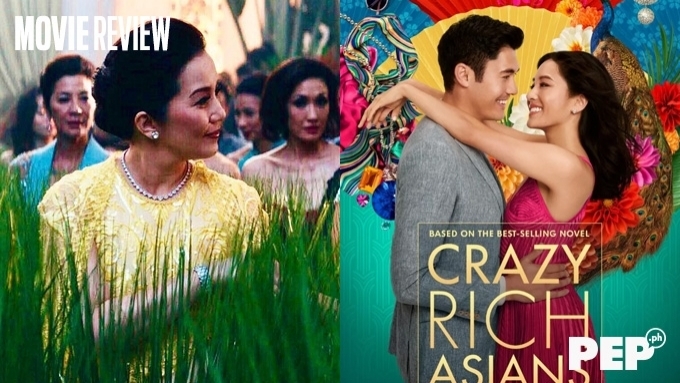 In North America, Crazy Rich Asians had a crazy good second weekend at the box office. Warner Bros.' romantic comedy generated another $25 million in 3,526 locations, meaning it made almost as much during its second outing as it did its first weekend. Jon Chu’s movie, which has been lauded as the first studio film in over 25 years with a predominately Asian-American cast, dropped just 6%—marking one of the best holds in recent history for a wide release in any genre. In two weeks, its domestic total sits at $76.8 million. The story follows New Yorker Rachel Chu (Constance Wu) as she accompanies her longtime boyfriend, Nick Young (Henry Golding), to his best friend’s wedding in Singapore. Excited about visiting Asia for the first time but nervous about meeting Nick’s family, Rachel is unprepared to learn that Nick has neglected to mention a few key details about his life. Not only is he the scion of one of the country’s wealthiest families, but also one of its most sought-after bachelors. Being on Nick’s arm puts a target on Rachel’s back, with jealous socialites and, worse, Nick’s own disapproving mother (Michelle Yeoh) taking aim.